Industrial development zones have become important economic drivers in South Africa. The country currently boasts five designated industrial development zones (IDZs) including Coega, East London, Richards Bay, OR Tambo and the recently designated Saldanha Bay. The East and North-East coast of South Africa houses some of the biggest maritime and logistics related industrial sectors including Dube Tradeport and the Richard’s Bay Industrial Development Zone (RBIDZ), a is a purpose-built and secure industrial estate, linked to the international deep-water port of Richards Bay. Looking at the RBIDZ as an example of growth in these specialised industrial hubs, we find an encouraging trend emerging. 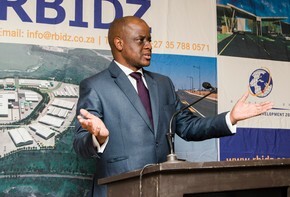 The RBIDZ, a tailored development for the manufacturing of goods and the production of services to boost beneficiation, investment, economic growth and the development of skills and employment, aims to encourage international competitiveness through world-class infrastructure as well as tax, VAT and duty free incentives to qualifying entities. The development has recently formulated a new strategic outlook focused on five areas, namely metals beneficiation of aluminium, titanium, chromium, and iron; agro-processing of forestry products and food; port development in regard to a container terminal and oil and gas, including ship and rig repair and construction; ICT and techno-parks and renewable and clean energy. 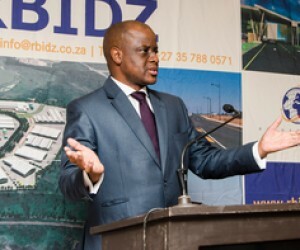 In a recent presentation to the media, CEO of the Richards Bay Industrial Development Zone, Pumi Motsoahae, said a R2 billion biomass production plant capable of generating up to 60 megawatts of power and advanced plans to import gas from Mozambique had settled the nerves of edgy international investors. The proposed gas-to-power projects aimed at securing energy in northern KwaZulu-Natal are poised to attract multi-billion investment projects in the region. He said several investors had approached the zone about the possible installation of gas-to-power plants. "We are in discussions with one of the largest Chinese steel manufacturers. In order to address prevailing energy concerns, the zone has embarked on an assertive renewable energy programme such as the proposed R2 billion biomass plant. In addition, opportunities are being sought in the gas-to power-arena," he said. Motsoahae said the Chinese were considering producing and generating their own energy. "Initially they wanted to use coal. That doesn't fall within the goals of our energy security plan. We want to use renewable energy sources. The idea of using gas and converting that to power is what we are talking about now," he said. Keith Harvey, the Legal Manager at the development zone said a relatively small gas-to-power plant would require approximately 50 million gigajoules of gas annually while the existing gas line from Secunda to Richards Bay, which brought methane rich gas from Sasol, only had a capacity of 23 million gigajoules. "We are strategically positioned close to the gas fields in Mozambique. And, we have a deep water port. There are two ways we can import the gas, either via pipeline or by ship. Bringing it into the port is the quickest and most cost-efficient way in the short term," he said. Harvey said they had high hopes for the gas exploration off the coast of Richards Bay. "If they find gas here that would be first prize," he said. Motsoahae said the 62ha primary industrial zone site, phase 1A, was almost fully subscribed with the completion of all services infrastructure expected by the end of next month. Funding for the development of the 110ha second phase or 1F as it is tagged, was in place with the installation of services expected to commence by the end of this year. The total investment value for the two phases totalled over R6.8 billion with at least 447 jobs coming online. The companies signed up were Nyanza Light Metals (manufacturers of titanium dioxide pigment), the Oasis Group (waste oil recycling) and Energuys (biomass power plant) in Phase 1F and Phaka Sangle (solar water heater manufacturers), RB Energy Services trading as Lovemore Brothers, a heavy logistics company, ProStar Export paints and SPS Manufacturing who are PVC-O pipe manufacturers in Phase 1A. Construction has already commenced on the SPS plant and gate house in Phase 1A, he added. In the last financial year over 1 700 construction jobs had been created in the construction of just Phase 1A. Motsoahae said other investors approved by the board but who were in the process of negotiating final agreements included an aluminium beneficiation company and, an energy storage systems company. He said additional land was also earmarked for industrial development 20km north of Richards Bay. The land is currently under timber plantations. He said this land would be used for heavy industrial development. However, the CEO warned that removing the many red tape ‘hoops’ that potential investors had to jump through was imperative. "In Singapore you can set up a new business online in 30 minutes. In Rwanda it takes three days. We need to streamline and improve our approval processes to be friendlier to investors," he said. He did however say the zone's officials were well trained and ready to "walk" potential investors through the process as part of a "one-stop-shop" service offering. In this vein, Harvey said that the zone was considering applying for environmental approvals for an oil refinery when it sought to get environmental approvals for any future expansion. "In that way we can be sure that we are covered for all proposed industrial operations, which are likely to have less stringent requirements than a refinery. The zone was also looking to incorporate projects under the Strategic Integrated Programme (SIPS). We could then fast track the administration and legislative processes for potential investors," he said. Also proposed was the development of an agro-processing facility within the first phase 1A of the zone, as well as the establishment of techno-parks, for which a memorandum of understanding had been concluded with Provincial Treasury. Motsoahae said further accomplishments included the approval of zone's fifty-year master plan by the provincial cabinet in May this year, ISO 9001:2008 accreditation in 2014/15 and a clean audit for the 2013/14 financial year.